Del Valle can make "residential" seem like an all-pervasive attitude. It's actually a dynamic, central and happening neighborhood with more culture than meets the eye. 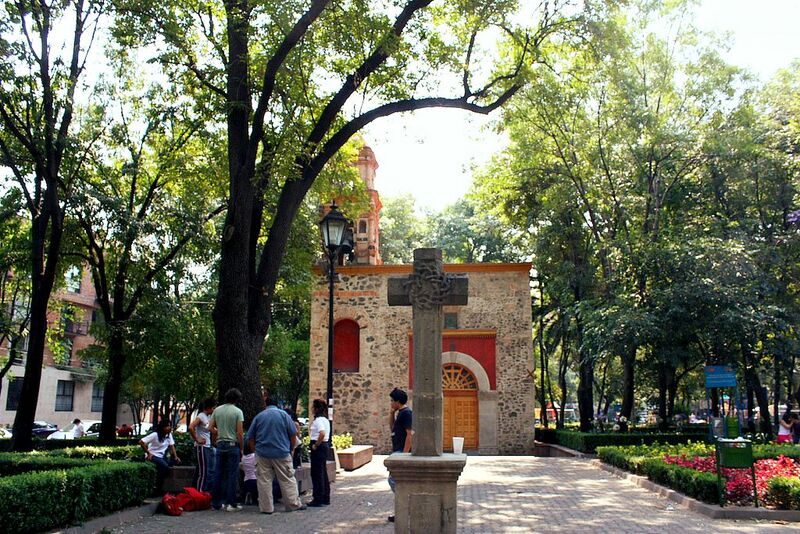 Mexico City’s Del Valle neighborhood is one of the nicest, most central areas in the city. 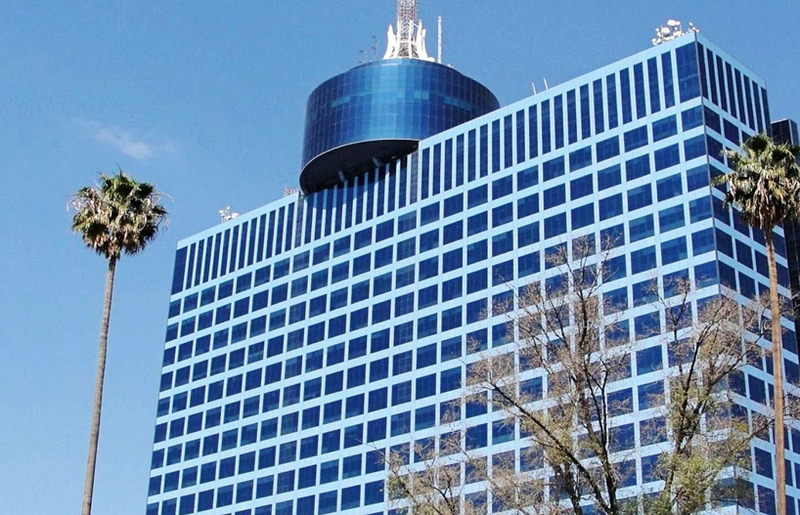 On Insurgentes Avenue and known for street after residential street as well as for its many parks, wide, tree-lined streets, a few prestigious shopping malls and for Temple of Mary’s Purest Heart, the Mexicana Tower, the World Trade Centre and the Polyforum Siqueiros. The origins of this colonia go back to the pre-Hispanic era, with the settlement of the Mixcoac people and later on, during the colonial era, with the construction of the Temple of San Lorenzo, one of the first Spanish constructions in the city, located half a block away from Insurgentes Avenue. Later on, in the time of Porfirio Díaz, avenues started being traced, and the famous “Hundido Park” was created in the unleveled lands that were previously used as sand mines. In the last quarter of the 20th Century, this district experienced an intense development with the construction of apartment buildings, shopping malls, and cultural centers. This, together with the district’s centric location and green areas have led this area to become one of the most appreciated in the city over the last few years. One of the great attractions of this area is Insurgentes Avenue, one of the most important in the city; parks, plazas, monuments, shopping centers and restaurants in which worldwide gastronomy can be enjoyed, are some of the things you can find along it. The World Trade Centre is located on this Avenue, a great urban example which includes offices, a department store, an exhibition center, two hotels and the renown Cultural Polyforum Siqueiros, an interesting diamond-shaped building on which faces murals of the outstanding Mexican muralist David Alfaro Siqueiros are displayed, and which houses in its interior the largest mural in the world, entitled “The March of Humanity”, apart from a theatre and diverse art exhibitions. Worth mentioning are also the more than ten parks that can be found in the area, of which the Parque Hundido, the Tlacoquemécatl Park, the Mariscal Sucre Park, and the San Lorenzo Park (which houses the temple of the same name) stand out. In the 1960s the area was as fully developed as many other neighborhoods of equal purchasing power on its borders. Commercial development included two major facilities, Liverpool Insurgentes opening in 1962 and the country’s first shopping center, University Plaza, in 1969. During 1989, the city built Eje Viales, which are one-way roads criss-crossing the city and from having had beautiful tree-lined boulevards with green medians it transformed into quasi-freeways. Luckily Del Valle’s architecture has not suffered over time. You can still find large mansions in Californian mission revival Art Deco style, as well as surviving examples of Porfiriato-style mansions. At the end of the 1960s small skyscrapers both residential and commercial were built. Colonia del Valle houses important churches like Temple of the Immaculate Heart of Mary, and buildings dating from the period of colonization and conquest between park Tlacoquemécatl, including the Temple of San Lorenzo and the Xochimanca, cultural areas and parks like the Sunken Park or Mariscal Sucre Park, the French Kiosk, art galleries, libraries, auditoriums, Polyforum Cultural Siqueiros (on the borderline of colonia Nápoles), Plaza México and Estadio Azul stadium. At the beginning of 2014, colonia Del Valle was called one of the wealthiest neighborhoods in the city, along with Condesa, Lomas de Chapultepec and Polanco. This park is a place where beauty, nature and artistic creations of the pre-Columbian civilizations come together to create a peaceful and quiet retreat in the middle of a big city. The history of the Parque Hundido (The Sunken Park) dates back to the Porfirian era, when several species of trees were planted in the land once occupied by the Nochebuena Brick Company, eventually, this land became the Nochebuena Forest. 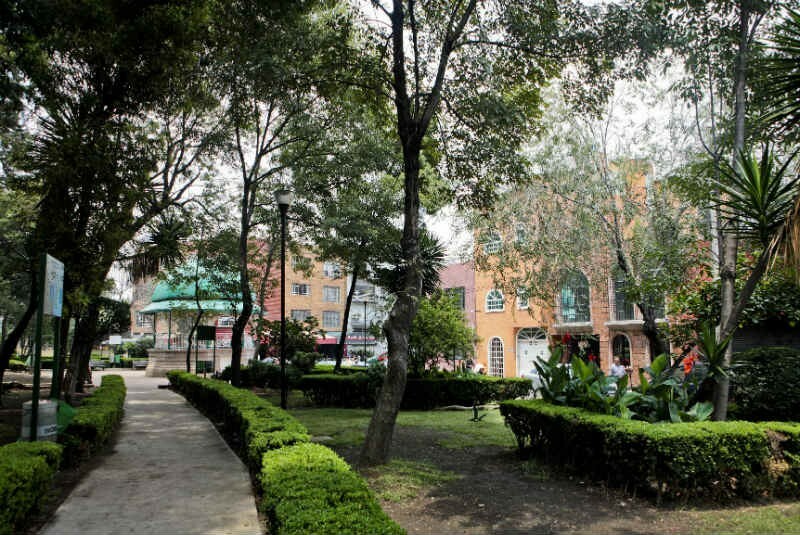 At the end of the 1930’s, after Insurgentes Avenue was paved and enlarged, the government decided to create a new park. Gardens, pathways and fountains were created so that the inhabitants of the area could enjoy this space, making it one of the classic places in town. Later, in 1972, several archeological pieces were distributed among six routs of the park: the Plateau, the Zapotec cultures, the Mayans, the Olmecs, the Totonacas and the Huastecas, through which we can appreciate the artistic mastery the pre-Hispanic people achieved. 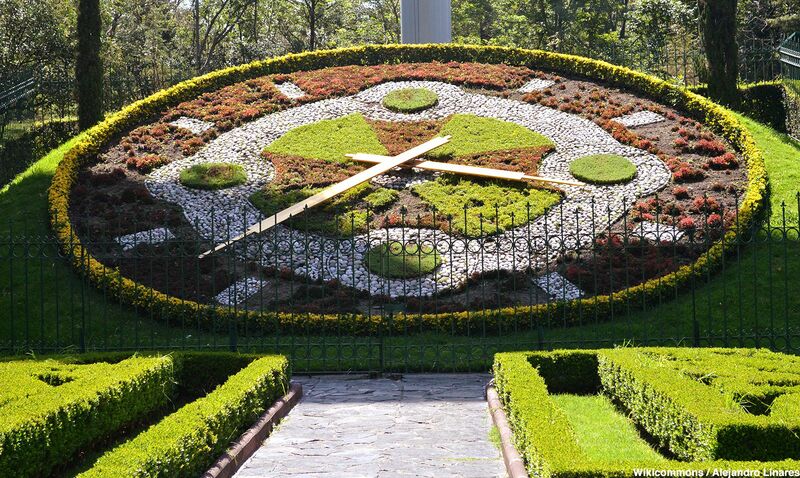 As you stroll down the park you will see a Floral Clock, created by a prestigious watch company in Puebla. The clock is located in Dolores del Río Plaza, at the end of wide staircase surrounded by fountains and water falls, as a tribute to the great divas of national cinema. Gabriel Mancera: Engineer, mines entrepreneur, businessman, politician and philanthropist. Galerías Insurgentes, (also Centro Comercial Galerías Insurgentes) is a shopping mall in the Colonia Del Valle neighborhood, a mostly middle-upper class sector of CDMX. The mall opened in 1992 on the corner of Parroquia and Insurgentes Avenue. 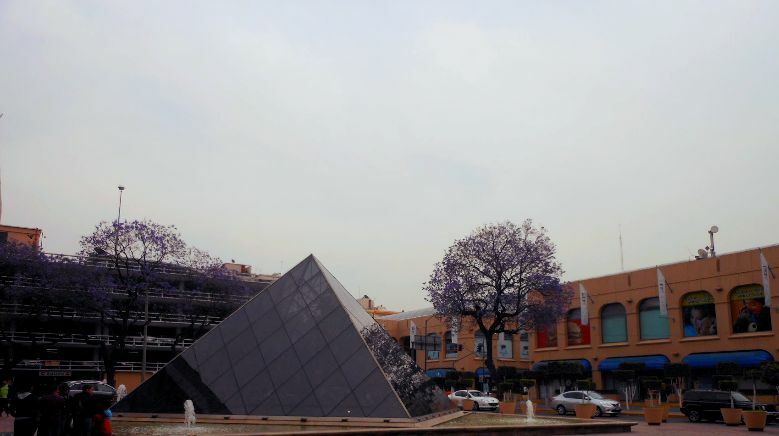 The mall had an elegant Louvre crystal pyramid in the west of the center and its huge Longines clock on the façade, made it an icon in the area. 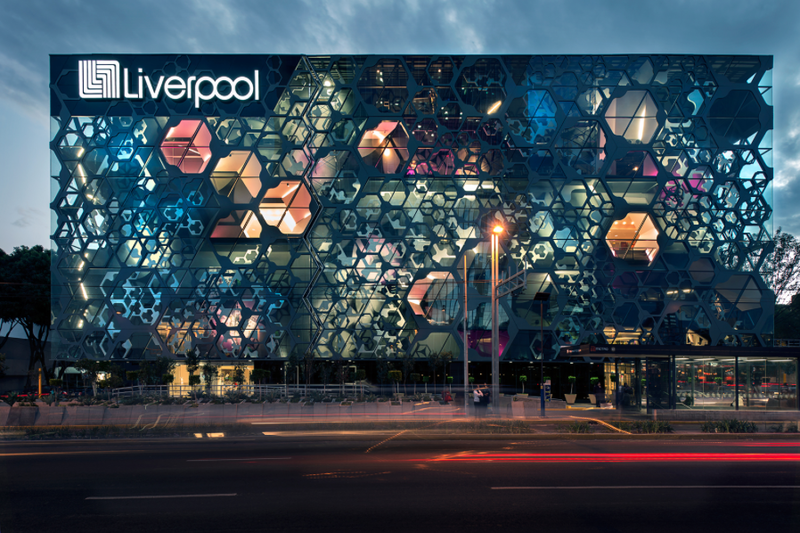 It has over 20 stores, being Liverpool the main Department store of the center. Major streets running through the neighborhood include: Insurgentes, Cuauhtémoc, Divisón del Norte, Universidad, Félix Cuevas, José María Rico and Xola. Metro Line 3 has several stations in the vicinity: Etiopía, Eugenia, División del Norte, Zapata and Coyoacán. Main avenues in Colonia del Valle are named after important philanthropists from the beginning of the 20th century. Names like Luz Saviñón, Gabriel Mancera, Concepción Béistegui, Romero de Terreros and Ángel Urraza pay tribute to the great benefactors of México.